Quality, Integrity, Pride, and Trust are the guiding principles employed everyday at Altra Collision. We offer a lifetime warranty on every repair. Our staff is trained to help you with all your collision claim needs, making your experience hassle free. 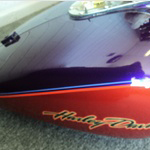 Our facility meets and exceeds the highest standards in quality repair and refinish techniques. 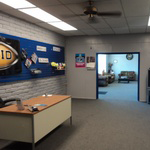 Our facility features state of the art equipment offering prompt, quality, collision repair experience. 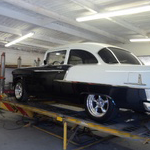 With advanced computer measuring systems we restore your vehicle back to factory specifications. Our number one priority is returning your vehicle back to you in pre-loss condition. Our main focus at Altra Collision is automotive collision repair. Altra Collision Center Body Shop has multiple insurance relationships and direct repair accounts. We have developed relationships with insurance companies that allow us the ability to competently handle our customers’ claims, making their experience hassle free. We will also work with our customers on out of pocket collision repairs. By accessing what our customers’ auto body collision and paint goals are, we can customize a repair process that will fit their budget without sacrificing quality or safety. It is our goal that any experience with us will keep our customer, their family and their friends coming back to Altra Collision for years to come. We have built a reputation as a family owned and operated collision repair facility that is second to none. We take pride in our commitment to excellence, craftsmanship, reliability and integrity. "I love Altra! My car was stolen a few years ago and returned completely trashed...missing seats, exterior damage, etc. Altra helped me coordinate everything with the insurance...kept me continually updated throughout the entire process. 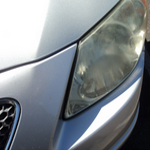 They were honest and my car came back to me in great condition!" 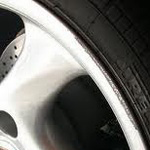 "Altra Collision Center does excellent quality work. This is a very professionally ran body shop, if you need any repairs or paint work done on your vehicle, I highly recommend this shop. The standards are high and the people are great to deal with. They worked directly with my insurance company and my car looks as good as new! Thanks Altra Collision Center! You guys Rock!" "The service was outstanding - when I find someone who understands what Customer Service really means - I am thrilled. I was worried about the repairs taking longer than my 20 day rental car and Roger had it completed, cleaned and delivered back to me in 8 days - not business days - 8 days! " 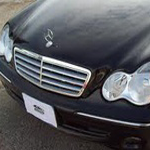 "Altra Collision provided us friendly, professional, thorough and efficient service when they repaired our Lexus SC430. They went way beyond and did it with a smile and friendly touch, things that are sometimes lacking in the car repair industry. Thank You, Thank You, Thank You Roger and Kelly." ... you can read more customer testimonials here! “Our employees define our business and share our commitment to excellence”. Altra Collision Center is committed to excellence in both collision repair and in serving our customers with personal attention, quality service and integrity. We are determined to maintain leadership within the industry by educating technicians, updating equipment and upgrading technology as the industry evolves. Quality will not be compromised with substandard work. 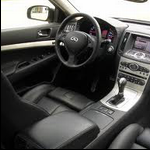 Our customers shall be educated and informed on all aspects of the repair process. Altra Collision Center Body Shop is conveniently located to serve the north Phoenix, Scottsdale, Arizona area. 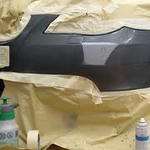 We specialize in auto glass replacement, paintless dent repair, bumper repair, wheel reconditioning, parts and accessories, classic car repair and restoration, vehicle detail, motorcycle painting and repair, rv body paint and repair, onsite mechanical services with full collision repair services including hail damage repair, color match, custom car, truck, motorcycle painting, frame straightening, fabrication, mechanical, auto detailing, truck detailing.